Visits to the eye doctor are not too bad except afterward, when everything is blurry. 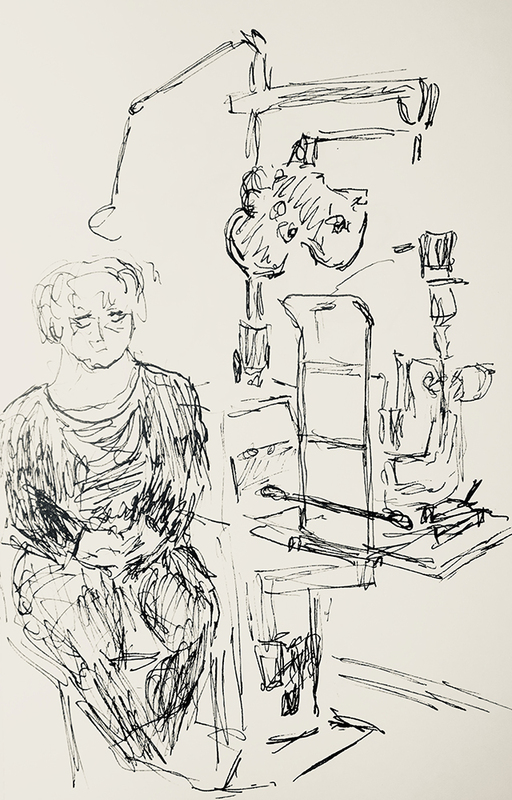 This entry was posted in Personal Stories and tagged art, creativity, doctor's office, drawing, eye examination, medical equipment, pen and ink, sketch, visual art, visual depiction. Bookmark the permalink.